When I get a craving for something I want instant satisfaction. 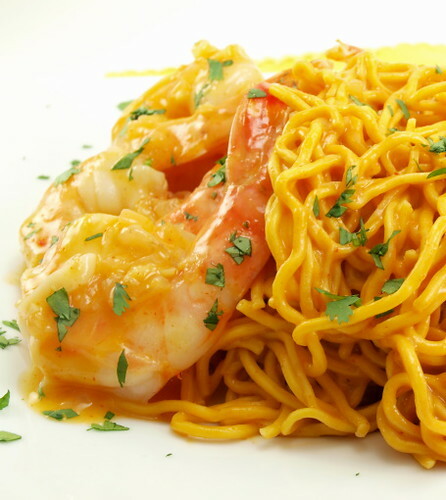 Not only did I make a quick coconut curry sauce with plump, tender shrimp, I added to that some spicy peanut noodles that were just as speedy to make a complete meal. From start to finish you can have this dish on your table in around 20 minutes. The coconut curry sauce is a delicate balance between sweet, tangy, and spicy. 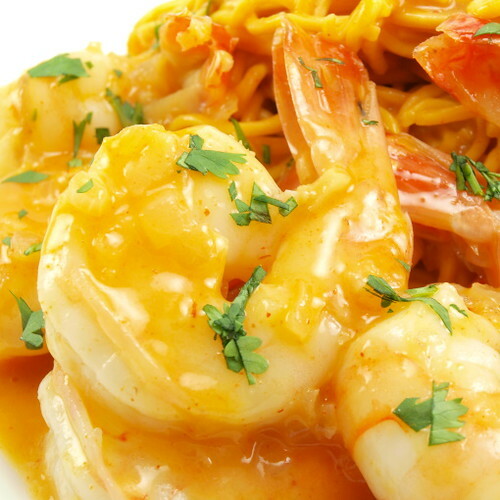 Coconut milk thickens the sauce and helps it cling to the shrimp, and believe me you want that. 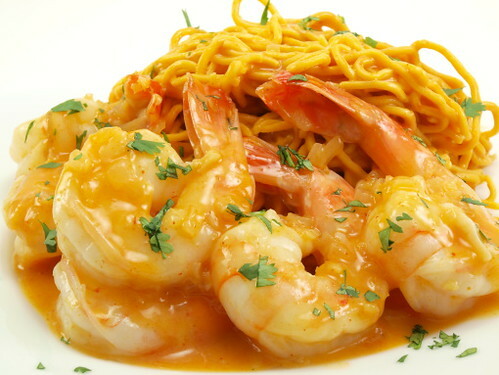 The egg noodles, coated with the nutty, slightly spicy peanut sauce, are a lovely compliment to the tangy shrimp. Fancy enough for company, yet easy enough for a weeknight, you don’t even need a curry craving to enjoy this dish. Cook the egg noodles according to the package directions. Drain and rinse with cold water. Set aside. In a medium sauce pan combine the vegetable broth, soy sauce, garlic, ginger, onion, lime juice, sesame oil, peanut butter, Sriracha, and curry paste. Whisk over medium heat until the mixture comes to a boil. Reduce the heat to a simmer and cook, stirring often, for ten minutes. In a deep saute pan heat one tablespoon of the oil over medium heat until it shimmers. 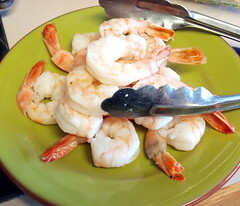 Add the shrimp and cook for 30 seconds per side, or until they begin to turn pink and start to curl. Remove from the pan and set aside. 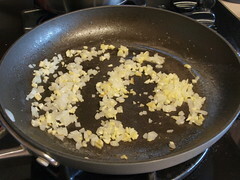 Add the second tablespoon of oil and when it shimmers add the garlic, ginger and onion. Cook until they start to soften and become fragrant, about one minute. 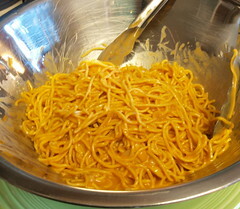 Add the coconut milk, lime juice, sugar, fish sauce, curry paste, and Sriracha and mix well. 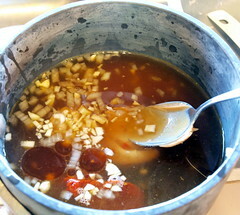 Bring the mixture to a boil, then reduce the heat to medium-low and cook until the sauce reduces and thickens, about five minutes. 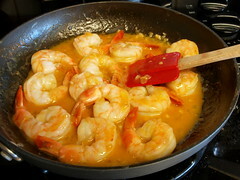 Add the shrimp back into the sauce and toss to coat. 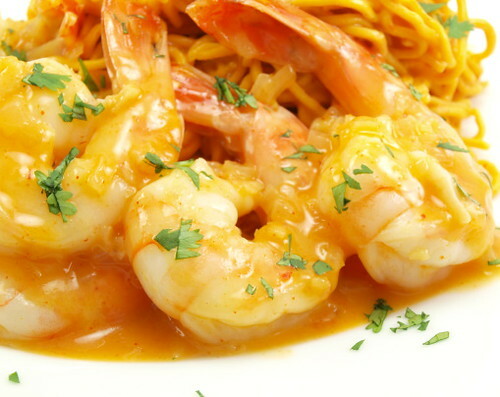 Cook for 30 to 45 seconds, or until the shrimp are cooked through and hot, then turn off the heat. Allow to stand for three minutes so the sauce can thicken. To finish the peanut sauce raise the heat to medium and bring the sauce back to a boil. 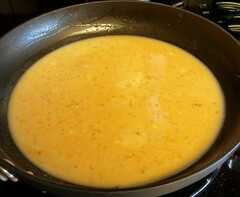 Add half the cornstarch mixture and whisk until thickened, about one minute. 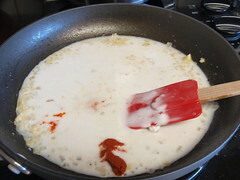 If you want the sauce thicker add the remaining cornstarch mixture. 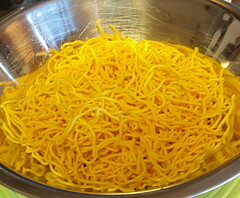 (I use the full tablespoon) Place the egg noodles in a bowl and pour the sauce over. Toss to coat.